TrendSpider is a charting platform that allows for the automation of different manual processes in technical analysis. 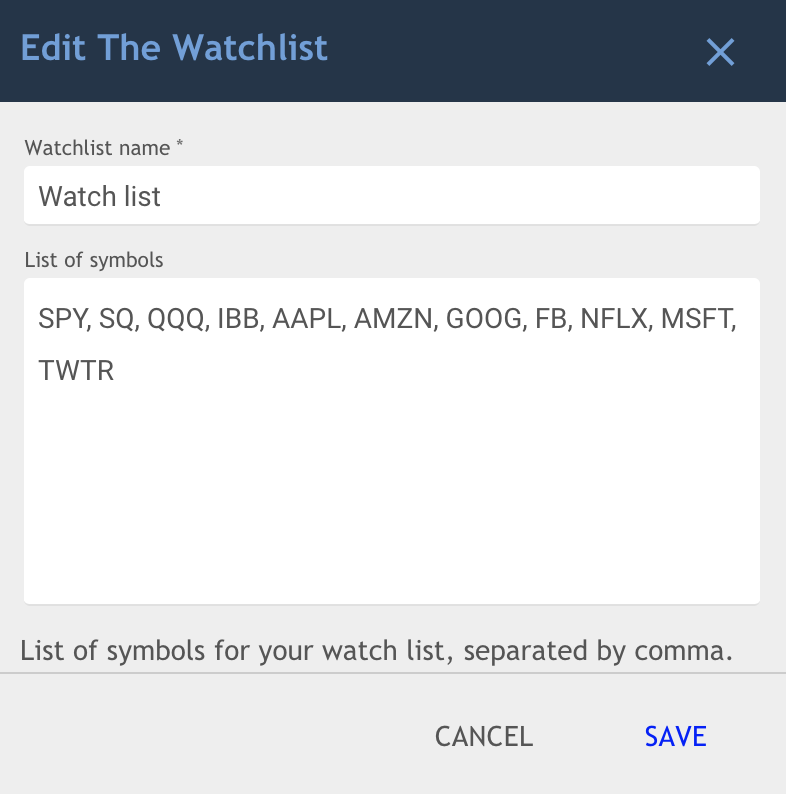 One of the most efficient ways to go through your charts on the platform is by creating your own watchlist. 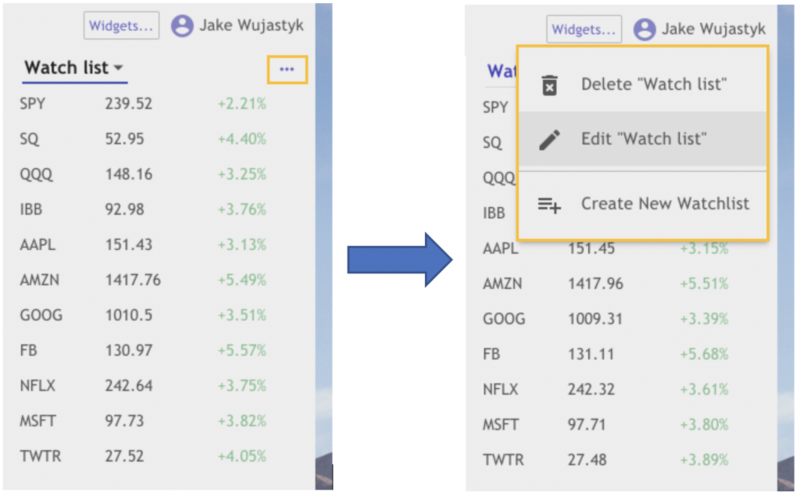 Once the watchlist is created, simply go through your charts with all the main features already pulled up on the chart without having to do anything by hand. Take a deeper look in the video and step by step guide below! In order to pull up your watch list or add a watch list, click on the widgets button. 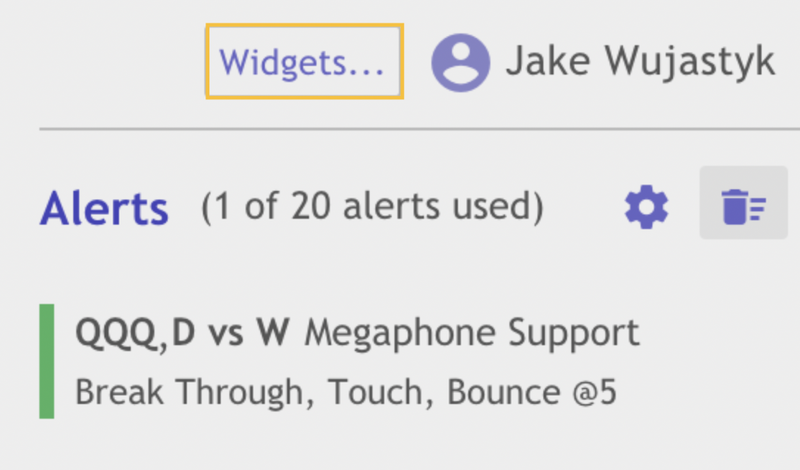 Once you have clicked the “Widgets” button, click “Watch Lists” to add a list on the widget bar. When there is a check next to the word, it means the feature is activated. By clicking the three horizontal dots, the option to delete, edit, or create a new watchlist is shown.